It’s only when you begin to reach the higher price ranges that you start to hear the words Avantone Pro more often, as this respected American brand delivers premium mics used by professionals. To illustrate this point, we are reviewing their higher-end CV-12 – a real looker, and one of the most capable condenser microphones you can get for less than $500. Let’s check it out! One of the first things you notice when looking at the CV-12 is its slim chassis. With a tall and slender build, the CV-12 features a candy apple red finish with chrome highlights and a dark chrome grille covering the capsule. From an aesthetic point of view, it is actually something you could put in a frame and hang on the wall! This premium stylish theme expands to the case, power supply and other features that arrive with the CV-12. The overall attention-to-detail in design is very applaudable. The aesthetic appeal is bolstered by the type of build quality you would expect to see from such a high-end microphone – very durable, despite being a condenser. Avantone Pro obviously choose their components very carefully, which results in a very strong mic. With a premium Russian-made 6072A tube and twin gold-sputtered Mylar capsules, the CV-12 is packed with the kinds of components that not only make it sound great, but make it very versatile too. In terms of raw specifications, you are looking at a 20Hz to 20kHz frequency response range and a max SPL of 136dB. If this was all the CV-12 had to offer it would be a pretty awesome microphone. But Avantone Pro has also included a polar pattern switch (with nine different polar patterns on offer), as well as a -10dB pad and 80Hz low-frequency roll off switch. When it comes to connectivity, Avantone Pro fits this mic with a standard XLR connector. Aside from the microphone, you get a good haul of accessories – as you may expect from the high-end price tag. There’s a solid padded wooden box to store and protect the mic, as well as a shock mount clip, a power supply and a sturdy padded aluminum carrying case. All things considered, the CV-12 feels like good value, even at this price. The CV-12 is so popular in the industry because it is able to deliver the classic tube warmth that you would expect to pay a lot more for. 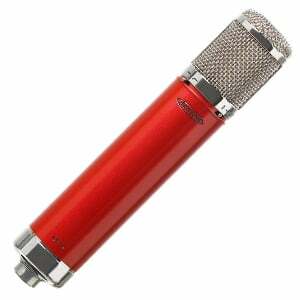 Because of this, it has been used as the primary microphone for several popular albums, including Taylor Swift’s 1989. The vocals on offer sound smooth, warm and full of the 1950s glow that only comes from a tube system. Having said that, you can also easily use the CV-12 to record instruments. Thanks to the -10dB pad, even the most aggressive acoustic instruments can be handled with the same level of accuracy and consistency. In the right hands (and, we guess, with the right voice) the CV-12 can be used to record chart-busting hits, as it has done in the past. Avantone Pro’s CV-12 is pricey, but still affordable in the grand scheme of things, and delivers the true sound of a charming but powerful analog condenser. It’s stylish, very versatile, built to last and sounds great out of the box. All in all, it feels like a bargain even at this price and well worth checking out if you are serious about recording good vocals. For more info about the Avantone Pro CV-12, click here.